CREA - Research and Clinical Center is a scientific research and cultural-scientifc evolution project for Fondazione San Sebastiano of the Misericordia di Firenze. A new finding by the Institute of Neurosciences of the CNR and Humanitas allows to deepen the molecular mechanisms underlying the cognitive dysfunctions of intellectual disability and autism. The research attributes to the relationship between neuronal plasticity and the activity of the mTOR gene a potential great utility for future therapies of neurodevelopmental disorders. The clinical and etiological relationship between autism spectrum disorder (ASD), schizophrenia, and bipolar disorder is not clear. The extent to which they share causal bases has important implications for clinicians, researchers, and for the people suffering from these disorders. The autonomic nervous system seems increasingly able to reveal early our characteristics and our psychic vulnerabilities: the pupillary light reflex and alpha-amylase secretion in saliva have recently been indicated as potential indicators of autistic disorder since the twentieth month of life. The results of a recent large-scale American research seem to indicate a new encouraging tendency to prescribe psychotropic drugs to people with intellectual disabilities more carefully and on the basis of precise diagnostic frameworks. In the last 15 years social and cognitive behaviors are occupying a prominent place in the study of behavioral phenotypes in genetic syndromes. The main difficulties in acquiring new knowledge seem to be linked to the difficulties of differential diagnosis between intellectual disability and autism. Though Quality of Life is increasingly being considered as a main theoretical reference for interventions on Autism Spectrum Disorders, it seems not be highly regarded in research on pharmacological intervention. Since the important implications that QoL assessment may have for resource allocation in healthcare, it is to be hoped that current state of research will rapidly improve. THE EXPERIENCE OF THE PATIENT, THE QUALITY OF CARE AND THE QUALITY OF LIFE: WHAT IS THE RELATIONSHIP? Do patients'reports of their health care experiences reflect the quality of care? Measures of quality of health care interventions are influenced by more general feeling of well-being and quality of life, which in turn depend on a variety of biological, psychological and relational factors. For this reason, many medical studies on patient-centered outcome measures are increasingly recognizing the importance of integrating the views of the patient with those of its proxies. Findings of a study conducted by members of the Psychiatric Genomics Consortium suggest the presence of genetic alterations common to major psychiatric disorders, such as autism, ADHD, bipolar disorder, depression, and schizophrenia. These results provide evidence relevant to the goal of moving beyond descriptive syndromes in psychiatry, and towards a nosology informed by disease cause. It has long been known that the SHANK3 gene is involved in the genesis of autism and other neurodevelopmental disorders. The dynamics of this involvement were instead clarified a few months ago and concern a defect in protein connection between brain neurons. Will this discovery determine new nosographic frameworks and allow the development of new therapies? The discovery of the mechanism by which a mutation of the SHANK3 protein leads to a connection defect and communication between brain neurons comes from New Zealand. Is this the first step towards building a cure for autism and other neurodevelopmental disorders? In adulthood Attention Deficit Disorder and Hyperactivity is frequently associated with dysregulation of emotions, particularly in people with intellectual disabilities. Are these variations in clinical expression, comorbidity or differential diagnosis? The results of a very recent study by the University College in London confirmed a high risk of early Alzheimer's disease in people with Intellectual Developmental Disorders and indicated important news on the most affected age and gender difference. In people with Intellectual Developmental Disorder pain is often expressed in a peculiar way and has specific risk factors. Research has been making significant contributions in recent years. A group of researchers at the University of Leuven in Belgium has recently studied attentive responses to emotional stimuli in people with severe and profound Intellectual Disability. The results were different from those expected. The new term, the new position, and the new diagnostic criteria of mental retardation in the DSM-5. Polymorphisms of the subunits of the NMDA receptor (N-methyl-D-aspartate) seem to determine alteration of the cortical activity linked to basic cognitive functions. It is to hope that this may represent a new biological marker to be used in the near future for preclinical screening and tailored therapies across neurodevelopmental disorders. NMDA (N-Metil-D-Aspartate) receptor subunits polymorphisms, which determine a signaling dysfunction, seem to represent a molecular substrate common to different neuropsychiatric developmental disorders. In people with intellectual disability, sleep disorders are very frequent. What factors have been considered to explain such a high prevalence? Are these disorders underpinned by wider psychiatric disorders? PSYCHIATRIC COMORBIDITY OF AUTISM SPECTRUM DISORDERS: HOW TO ASSESS? In some cases, symptoms and dysfunctions of autism spectrum disorders can be confused with those of other psychiatric disorders. In other cases it seems more appropriate to speak of a diagnostics shadowing. Autistic polymorphism or comorbidity? How to evaluate? Recent evidences provide a better understand of some of the neurotransmitter mechanisms that regulate social behaviour. The same findings reveal important links with the molecular bases of autism spectrum disorders. In 2009, it was discovered that a substance of bacterial origin can significantly lengthen the duration of life of some mammals. also the reduction of the food intake seems to delay the aging acting on the same gene. An increasing number of research is indicating that TOR has a key role in some of the principle regulatory mechanisms of cell physiology and systems with which they communicate: nervous, endocrine, and immune. Recently, Dr. Tsiouris and his team of New York State Institute for Basic Research in Developmental Disabilities have investigated the complex relationship between psychiatric disorders and aggression in people with intellectual disability. Many studies indicate a high prevalence of psychiatric disorders in adults with autism spectrum disorders (ASD). More uncertain is the data with respect to children. A recent irish research found a particularly high rate of anxiety disorders and attention deficit hyperactivity disorder (ADHD). Increasingly evidences confirm that the neuropeptide oxytocin modulate cognitive social skills and consequent behaviours. this substance could be the basis for new pharmachlogical treatments for the relational development disorders. Children born to mothers suffering from schizophrenia, bipolar disorder o major depression have a risk three times higer to develop intellectual disability compared with children born to mothers without a psychiatric disorder in clinical history. In Marshall-Smith syndrome, recently associated with a mutation in the gene NFIX, intellectual disability is often linked to particular psychiatric problems and specific alterations of cognitive functions. Is it possible that there is a relationship between the cognitive phenotype and psychiatric symptoms? On the 9th and 10th of November 2011 the annual gathering of researchers belonging to the special interest group on the Quality of Life of the International Association for Scientific Studies of Intellectual Disabilities will be held. The CREA site anticipates some content. SCHIZOPHRENIA AND INTELLECTUAL DEVELOPMENTAL DISORDERS: WHICH CONTIGUITY? The progressive development of pathogenetic models of schizophrenia pertaining to neurodevelopment, is shedding new light on aspects of contiguity, already recognized in the past, with intellectual developmental disorders. The psychiatric-specific aspects of Fragile X syndrome have not yet been clarified, particularly in relation to age and genetic structure. The psychopathology of relatives who are carriers of the permutations is little known. The research group of Lidia Gabis of Central Weinburg of Israel has recently tried to bring new knowledge to this field. Some epidemiological studies indicate that cigarette smoking is a frequent problem in people with intellectual disabilities. It may contribute to the emergence of psychiatric disorders and significantly restrict the drug treatments. It was recently discovered that variations in the number of copies of some sequences of the genome on the short arm of chromosome 16, already correlated with autism, are associated with the possibility of developing schizophrenia. In previous studies the deletion of a neighboring area was found to be an independent risk factor for the development of intellectual disabilities. Is it possible that there is a basic common epigenetic to the three conditions? For many years scholars have worked to understand which genes may be responsible for the clinical manifestations of Down syndrome and to improve the conditions and life expectancy of the individuals who are affected. The comorbidity with organic pathology in Persons with Intellectual Disabilities (PwID) is much higher than in the general population and is known as PwID frequently present a history of epilepsy problems, the diagnosis however can be difficult and, in about 25% of the cases, are subject to error. As of Monday, June 6, 2011, the cycle of sports dedicated to people with intellectual disabilities begins. The project is a collaboration between A.M.G. and the Provincial Committee of Florence A.I.C.S. (Italian Culture and Sports Association). 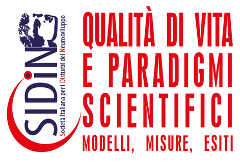 This was the title of the conference which was held on Wednesday, April 13 in the 20-21 classroom teaching pole at the University of Udine. During the meeting the results of the national research project aimed to develop a computerized evaluation system that would allow one to investigate the cognitive impairment and lifestyles of older people with intellectual developmental disorders. The etiological origin and the possibility of pharmacological intervention of autism represent two areas of great scientific interest and on which research has not yet provided conclusive results. However, as already highlighted by CREA in many publications on this site, there are more and more frequent studies that place in genetics some important causal and therapeutic principles. The evolution of neuroscientific knowledge seems to indicate a pathogenetic area common in intellectual disabilities, autism and schizophrenia. All genetic vulnerability and gene-environment interaction may play a decisive role in the formation of circuits for memory and other cognitive functions. In Sierra De Atapuerca, near Burgos (North-Central Spain), a skull of a youth affected with synostosis lambdoidea and a severe intellectual disability was found. The findings show that he was helped to live as any other member of the group. The prevalence (number of cases of a disease based on the population at the time) of Intellectual Disability (ID), formerly known as Mental Retardation, is estimated between 1 and 2.5% and the incidence (number of new cases per year) is estimated to be around 1.8%. Recent data indicates a reduction in the prevalence of ID only in western populations, while the opposite trend is evident among people with low to middle range incomes. 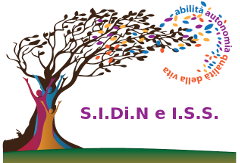 From November 8, 2010 to February 28, 2011, a training course for volunteers of Intellectual Disability (ID) will take place for the V.A.I.P.E.D.D. 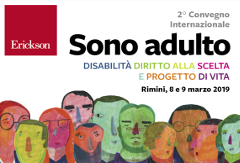 project, Voluntary Service and Augmentative Interaction with Parents and Experts on Developmental Delay, sponsored by the Center for Research and Development of AMG of the Misericordia of Florence in collaboration with CESCVOT (Center for Volunteer Service in Tuscany). An international study group, led by John Vessey of the Center for Research on the Brain of the Faculty of Medicine at the University of Vienna, identified a homolgue of Pum named Pum 2, that is found in the somato-dendrites of the hippocampal neurons of mammals. The literature demonstrates the extreme complexity of the relation between Specific Learning Disorders and Intelligence. The main difficulty is in the construction of the definitions. In fact, the scientific community identifies important limitations in the way in which it now defines and evaluates learning disorders and intelligence. The literature shows a high prevalence of problem behaviours in the population with Pervasive Development Disorders. Some recent studies have looked at the pathogenetic contribution of organic conditions, including pain. People with Pervasive Development Disorder present a difficulty in the functional expression of pain and tend to convert to abnormal behaviors. In the field of Intellectual Disability (ID), in which it is impossible to think of recovery as a return to a functional capacity similar to the majority of people, the problem with diagnostic intervention and therapy is that it is strongly linked, more so than other medical conditions, to the improvement of Quality of Life (QoL). The prevalence of psychiatric disorders in the population with Intellectual Disability varies considerably between different studies; however, all studies consistently report a much higher prevalence than in the normal population. Furthermore, individuals that receive a precise diagnosis of a mental disorder represent only a small part of all disabled people that come in contact with a psychiatrist. Like anyone else, a person with Intellectual Disability can present with emotional, behavioral, interpersonal or adaptive problems that do not constitute a real psychiatric disorder, yet they can still benefit from seeing specialist.